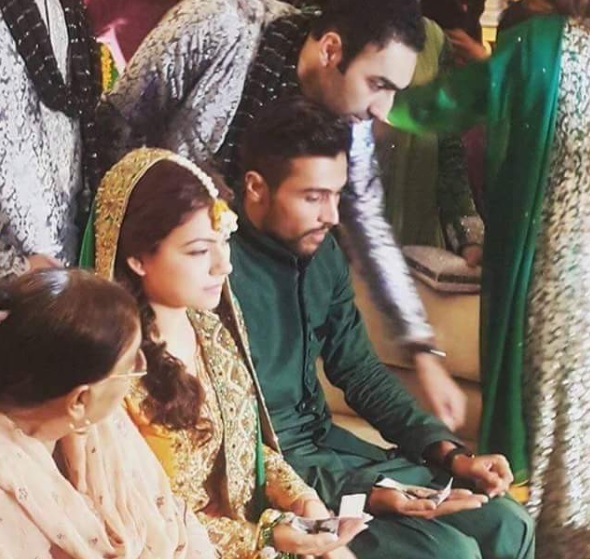 Mohammad Amir’s Mehndi function was held yesterday. Mohammad Amir got married to Narjis who he has known for a long time. She is an advocate who supported her when he was in UK. While giving the interview Mohammad Amir looked very happy. He also requested everyone to pray for them. Narjis is based in UK and that is where she met Mohammad Amir when he was there. Mohammad Amir said that he was going to stay in Pakistan. “We have a home in UK and Pakistan both now.